In most cases, you might want to take a screenshot of a page or an application window on your desktop computer and laptops; but unfortunately, you probably don’t know that every Windows PC has this great feature and this keeps bothering you. Alright, today I will show you how to go about this by following these straightforward and easy steps below. However, there are only three tools needed for taking screenshots on computers for Windows 7, 8 & 10. These include your System Keyboard, Microsoft Paint Program and the Snipping Tool. 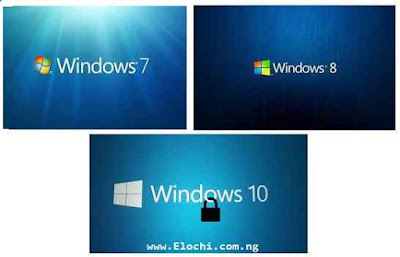 In Windows 7 and both Windows Vista, the operating system supports the above three tools and such works perfectly for all. Using the snipping tool in Windows 7, you can define an area of the screen to capture whether for the entire screen or just a selected window and this saves much stress than using the other tools as Keyboard and Microsoft Paint Program which involves pasting the image from the clipboard. READ ALSO: "My Life As A Student Entrepreneur"
READ ALSO: "How to Create your blogger blog Favicon Image"
READ ALSO: "A-Z Functions and Control Keyboard Keys"
Finally, you have now gotten to know this very tips and tricks on taking screenshots on your computer system both for Desktops and Laptops. Hopefully, I know you enjoyed this topic very well, kindly leave a comment below, we love your comments; also subscribe to this blog to receive fresh new updates like this another time. You can as well Share with your friends.